The Teddy bear and chimpanzee are hand-crafted from mohair in the traditional manner. Their noses and the Teddy bear's claws are stitched by hand. 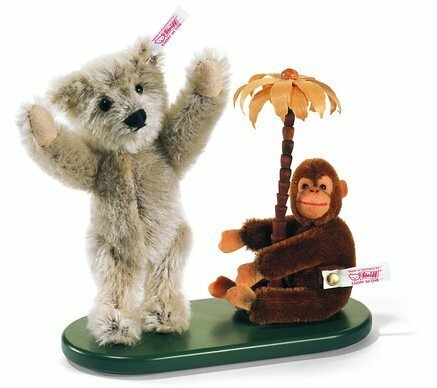 Both the Teddy bear and Chimpanzee have a white consecutively numbered ear tag (#143/1500) and a gold-plated "Button in Ear".